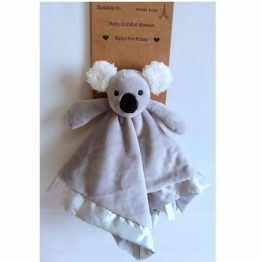 Tags: baby-gift, comfort-blanket, kangaroo, petite-vous, security-blanket, soft-toy. 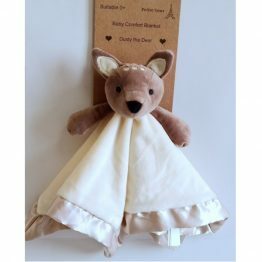 The Petite Vous Baby Comfort Blanket makes an affordable and beautiful gift for any child. 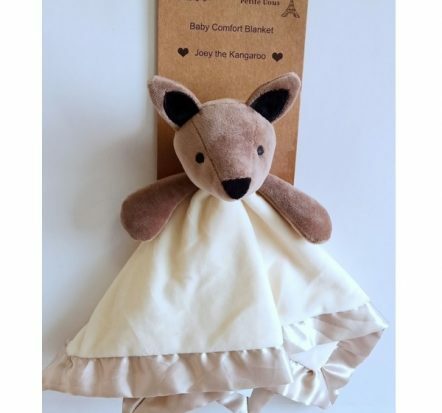 Joey the Kangaroo is made of super soft fabric and features a satin edge. 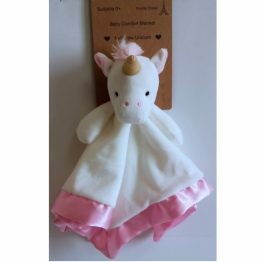 We recommend you purchase two of these adorable Comfort Blankets ~ one for the wash and one for baby, or just keep the second as an all important spare! 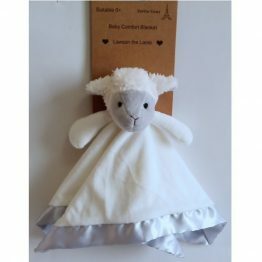 The Petite Vous Baby Comfort Security Blanket is destined to become a child’s favourite for years to come.